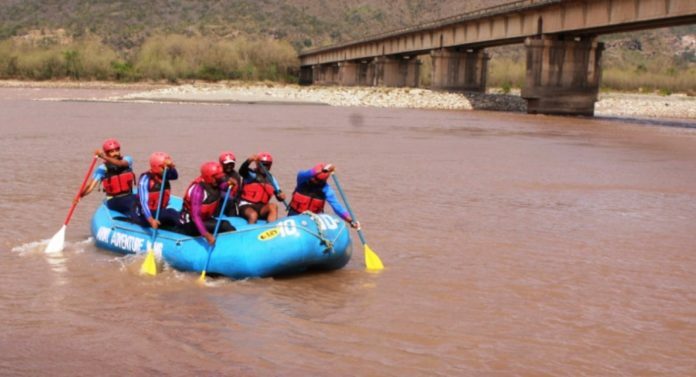 Jammu: The 4th National Chenab Challenge White Water Rafting Championship was organised under the aegis of J&K Tourism Directorate at Baradari, Reasi from 15 Mar to 17 Mar 2019. A total of 10 teams in men and 02 teams in women category including teams of Army Adventure Wing, ITBP, JK Police and JASA (Jammu Adventure Sports Association) participated in the competition spanning over a period of two days. All support in the conduct of the event was provided by Counter Insurgency Force (Uniform) to both the J&K tourism and civil administration. A 12 Km Rafting Marathon was organised on 16 Mar 2019 in which Army Adventure Wing Team(A) came first. A 100 metre sprint event was held on 17 Mar 2019 in which J&K Police stood the winner. The efforts of Counter Insurgency Force (Uniform) in ensuring that the event is conducted successfully were applauded by all.